3. URL of spoof website disguised as "Here". 4. Spoof website traced to Korea. 6. Spoof website not online at time of report, but likely to closely resemble the real Regions website.
" 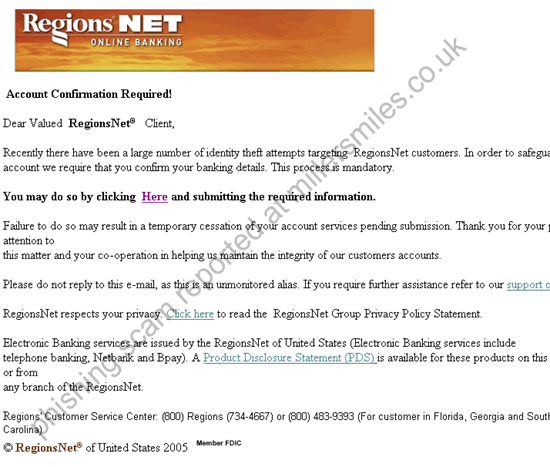 Recently there have been a large number of identity theft attempts targeting RegionsNet customers "